Save the date! 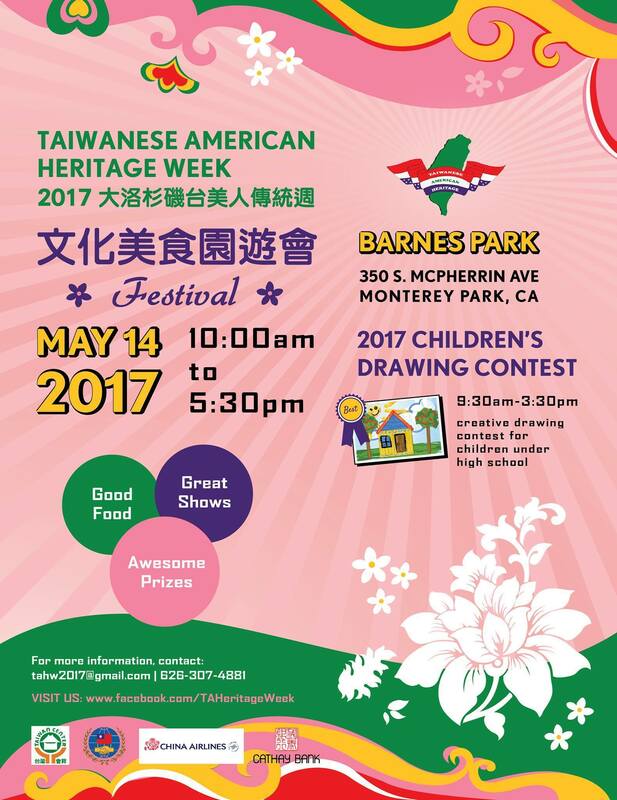 We will be celebrating Taiwanese American Heritage Week annual festival at Barnes Memorial Park in Monterey Park on May 14th 2017! We have dozens of booths serving delicious Taiwanese food and awesome performances including dancing, singing, hip hop dancing, and more! Admission is Free but tickets are available for purchase at $10 per sheet to be used on food and others. A raffle ticket is included with every ticket sheet purchased. Prizes include round trip ticket to Taiwan!